Looking for Places to Hunt, Fish, or Trap? MassWildlife is organized into the Fisheries, Wildlife, Natural Heritage and Endangered Species, Information and Education, Realty (including land stewardship), and Hunter Education sections, the five fish hatcheries, and the five wildlife districts. These entities all interface to professionally manage and conserve approximately 225,000 acres of publicly accessible land and over 400 state-listed species of plants and animals for the benefit of all the citizens of the Commonwealth. Whether you are an angler, sporting dog enthusiast, hunter, hiker, camper, boater, or birder, your outdoor experience is enriched by our wildlife resources. Think for a moment about the sights and sounds of nature that you experience whenever you’re out-doors, from watching a mature buck browse or catching a glimpse of a coyote, black bear, or bobcat, to observing a butterfly fluttering through a field of flowers, or catching the unexpected rise and jump of a fish, to the call of loons and the honking of migrating geese and the reedy calls of spring peepers, these are what make our outdoor stories worth telling, and these experiences ultimately become an important part of our collective outdoor memory. So, regardless of how you choose to enjoy our wildlife resources, the social, recreational, educational, ecological, economic, aesthetic, and intrinsic values derived from our enjoyment provide incentives for all users to come together to conserve them. All user groups are important, and serve as key partners by diversifying and multiplying the value of our wildlife resources. The stewardship of our wildlife resources and the lands that support them, however, does not come cheap. And while everyone who recreates outdoors gets to enjoy them, only a few help pay the costs to protect, manage, and restore them. Most people do not realize that MassWildlife’s programs are funded from the sale of fishing and hunting licenses, not general tax dollars. As wildlife professionals, one of our greatest challenges is to continue to meet our pub-lic-trust responsibilities of conserving ALL wildlife in the face of declining hunting and fishing license sales; hunting licenses in particular. License sales have been the financial foundation of wildlife conservation in America since the early 1900s. This funding model, however, is no longer sufficient to meet our conservation needs in the twenty-first century. 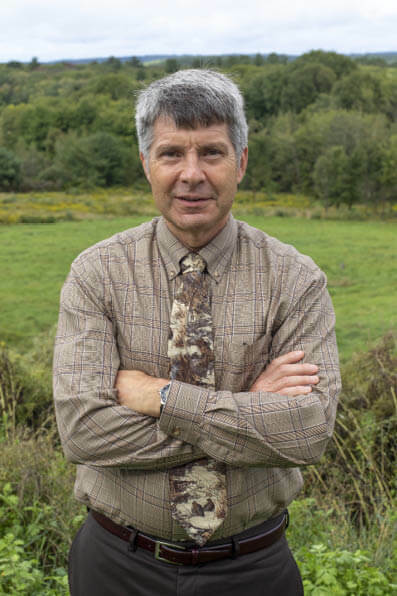 And this is not just a Massachusetts problem; it is a challenge across the country for all state fish and wildlife agencies as we try to meet our unfunded conservation needs. Congress directed all states to prepare a comprehensive State Wildlife Action Plan that specifically identifies the wildlife species in greatest need of conservation, the threats to those species, and the funding needed to address those conservation needs. Based on those conservation plans, it is estimated that the states will need more than $1 billion annually to conserve our species in greatest need of conservation. As a result of this nationwide assessment of unfunded conservation needs, bipartisan legislation has been introduced in the U.S. House (H.R. 4647) by Representatives Jeff Fortenberry (R-Nebraska-1) and Debbie Dingell (D-Michigan-12) and in the Senate (S.3223) by Senators James Risch (R-Idaho) and Joe Manchin (D-West Virginia) to address this issue. This legislation is called the Recovering America’s Wildlife Act (RAWA) and it has gained strong bipartisan co-sponsorship and is garnering tremendous support from the outdoor-recreation community, the retail and manufacturing sector, the energy and automotive industries, private landowners, educational institutions, conservation organizations, sportsmen’s groups, federal and state fish and wildlife agencies, and from the public at large due to its innovative approach to solving America’s wildlife conservation crisis. In this proposed legislation, the monies to pay for conservation would not come from new taxes but instead from existing fees already paid to the federal government for mineral and gas exploration and extraction on federal lands. The funding would be apportioned to each of the states, which could mean an additional $14 million or more annually for Massachusetts to help conserve all the wildlife resources in our state. So if you enjoy getting outdoors to experience all the exceptional wildlife-dependent recreation Massachusetts has to offer, it is important for you to let our Massachusetts Congressional Delegation know that you support the Recovering America’s Wildlife Act legislation. I will be working with my fellow state fish and wildlife directors from around the country to help to advance what is arguably one of the most important pieces of wildlife conservation legislation since the Teddy Roosevelt era. Wildlife-dependent recreation is also a critical economic driver in our state, generating some $2 billion in retail sales and more than $292 million in state and local tax revenues. Additionally, approximately 35,000 jobs are supported in the Commonwealth by these activities. In all, the total economic multiplier effect in Massachusetts for wildlife-watching, hunting, and angling is an estimated $3.6 billion annually. Our wildlife is more than worth our continued support and investment.